A traditional 17th century pub, with charm, character and atmosphere just like pubs used to have. Step back in time into the quirky layout encompassing three roaring open fires, quarry tiled floors and pub memorabilia. The renowned snug, formed by a curved partition panelled wall, is one of Britain's finest unspoilt pub rooms. The Holly Bush Inn has been featured on thisisderbyshire.co.uk. 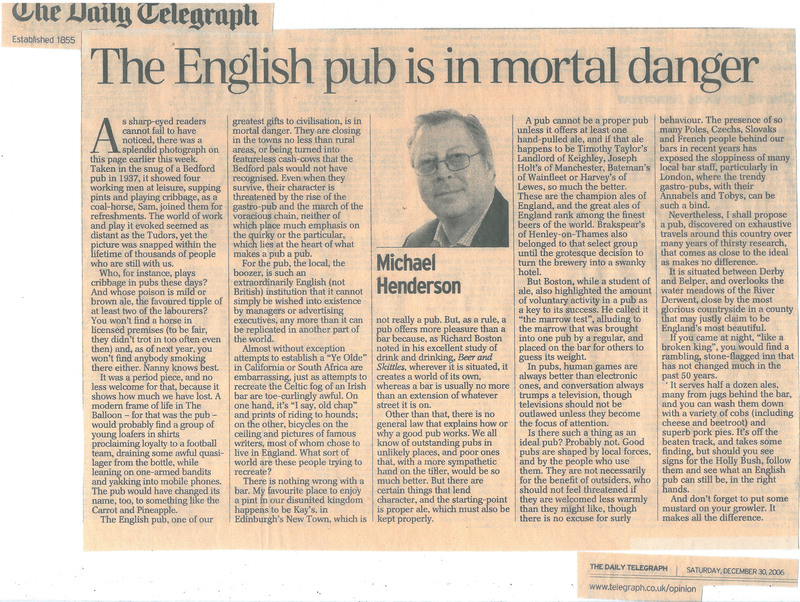 The Holly Bush Inn has been featured in an article written for 'The Daily Telegraph' on the life span of traditional English pubs. "Its off the beaten track, and takes some finding, but should you see signs for the Holly Bush, follow them and see what an English pub can still be, in the right hands."